If they had been out in time for the $20 sale I would have bought 2. As it is I just stuck with picking up Krennic. I saw this at the Disney store this past weekend. I can honestly say that I have had no desire to pick up any of this line, even Vader. It was the first figure that I had considered buying. It is really well done and looks really good. Out of curiosity, why no interest in buying any? I'm thinking about getting Vader as well. Just curious why you decided to pass if they look so good. It's a shame they aren't in scale with hot toys figures. I have no interest in getting any of these, I'd rather splurge for proper 12" figures. I have Kylo Ren and Vader, and am extremely happy with them. Going to do a proper shoot next week. This week is just too insane for me to carve out any time. Krennic and Death Trooper are both must grabs for me as well. With the rate they have sales there, I doubt I'll ever have to pay the full $35 each for them. I love em. They are really nicely done for the cost. Mainly because it would be out of place. I wasn't impressed with the quality of Vader's head and shoulder material so I didn't pick him up. 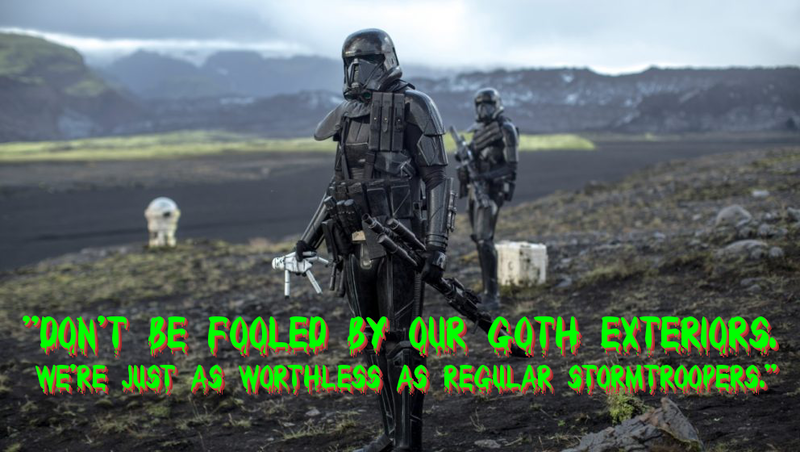 The death trooper I felt would look out of place without the others. I have the smaller scale ones and it would just be odd only getting one of the larger scale I suppose. Last edited by Bearjew; 12-22-2016 at 01:31 PM.. I really wish they weren't in their own scale. As a 6 inch they'd be a really cool mass production comparison to Mezco figures, even at 35. At 12 inch, sorta the same thing, but being a little small I think drags them down and puts them at odd man out status, at least for me that likes to have a uniform scale shelf for the most part. That said, I'd probably scoop up a Darth Maul in an instant. 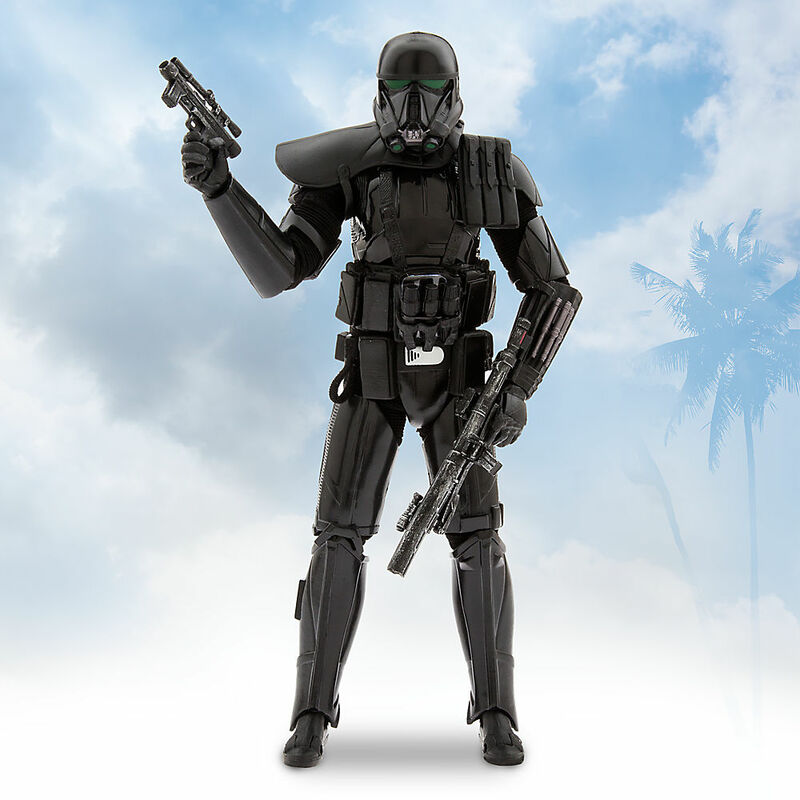 Death Trooper looks pretty cool but hasn't captured me enough to grab as a one off. They might be really fun for non-collectors and kids though. They look fairly durable actually. Last edited by graphyt; 12-22-2016 at 01:50 PM.. I have Vader and picked up the Death Trooper today, both are excellent figures and very good value! 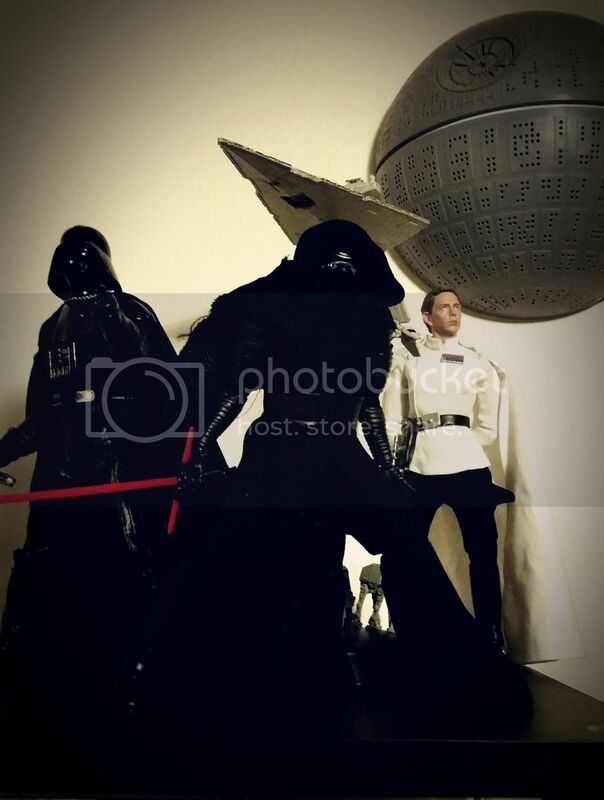 I currently have Vader on my Hot Toys shelf and they don't scale too badly! Hope they make a standard Stormtrooper and a Boba Fett in the future! So are they done with the 7" Elite figures? I was hoping for more OT characters. an elite diecast first order tie pilot was spotted in the uk so i guess they are continuing with the line after all.